Paper proposals are invited from a very wide range of perspectives, including but not limited to media history, media archaeology, audience studies, political theory, metaphysics, software studies, science and technology studies, digital aesthetics, cultural geography and urban studies. 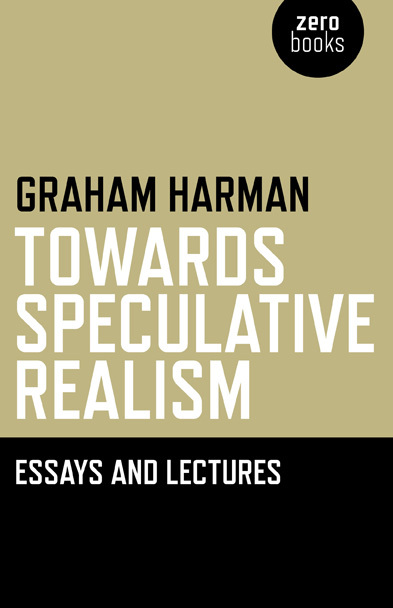 Though all proposals should relate in some way to phenomenological thinking, this should be interpreted broadly, ranging from core thinkers such as Husserl, Heidegger, Merleau-Ponty and Sartre to those with looser affiliations to phenomenology per se, for example Arendt, Bergson, Bourdieu, Deleuze, Garfinkel, Ingold, Latour, Whitehead and Harman. Please send an abstract (max 200 words) of your paper to both Scott Rodgers (s.rodgers@bbk.ac.uk) and Tim Markham (t.markham@bbk.ac.uk) by 20 November 2012. Authors will be informed regarding acceptance / rejection for the preconference no later than 20 December 2012. This is one of the most informative articles I’ve read on the early influences on Latour’s work. The role of biblical exegesis is particularly interesting. And even the question of the Heidegger-Latour connection gets a little mention, which was the original impetus behind the reading group that launched this blog. Apparently the link is Latour’s philosophy teacher, André Malet, who was into Bultmann, Heidegger’s one-time colleague, debating partner and friend. Schmidgen, H. (2012). “The Materiality of Things? Bruno Latour, Charles Péguy, and the History of Science.” History of the Human Sciences. This article sheds new light on Bruno Latour’s sociology of science and technology by looking at his early study of the French writer, philosopher and editor Charles Péguy (1873–1914). In the early 1970s, Latour engaged in a comparative study of Péguy’s Clio and the four gospels of the New Testament. His 1973 contribution to a Péguy colloquium (published in 1977) offers rich insights into his interest in questions of time, history, tradition and translation. Inspired by Gilles Deleuze’s philosophy of difference, Latour reads Clio as spelling out and illustrating the following argument: ‘Repetition is a machine to produce differences with identity’. However, in contrast to Deleuze’s work (together with Félix Guattari) on the materiality of machines, or assemblages [agencements], Latour emphasizes the semiotic aspects of the repetition/difference process. As in Péguy, the main model for this process is the Roman Catholic tradition of religious events. The article argues that it is this reading of Péguy and Latour’s early interest in biblical exegesis that inspired much of Latour’s later work. In Laboratory Life (Latour and Woolgar, 1979) and The Pasteurization of France (1988) in particular, problems of exegesis and tradition provide important stimuli for the analysis of scientific texts. In this context, Latour gradually transforms the question of tradition into the problem of reference. In a first step, he shifts the event that is transmitted and translated from the temporal dimension (i.e. the past) to the spatial (i.e. from one part of the laboratory to another). It is only in a second step that Latour resituates scientific events in time. As facts they are ‘constructed’ but nevertheless ‘irreducible’. They result, according to Latour, from the tradition of the future. As a consequence, the Latourian approach to science distances itself from the materialism of Deleuze and other innovative theoreticians. To get your dose of Heideggerian nostalgia for Central European peasant life that is no more, check out the photos of my friend Zoltán Gyetvai, an ethnic Hungarian photographer from Slovakia. I say photographer, but in good Central European tradition he is something of a renaissance man: also a published poet, ethnographer, educator, community organiser, and electrical engineer (if I remember correctly), among other things. Most of the photos I believe are from the Hungarian historical county of Gömör (now in Slovakia), with some from Transylvania thrown in for good measure. Ethnography for many Hungarian intellectuals in Slovakia is an exercise (or more like a duty) that is full of melancholy because it is aimed at not only documenting the disappearance of an old way of life but also the gradual assimilation of one’s own ethnic community. That all this has coincided with decades of economic decay during communism that has accelerated ever since also adds to the sombre mood of these photographs and the whole situation. This county has the highest unemployment in Slovakia and the population is in decline. Zoltán has been documenting a world that is disappearing in more senses than one. P.S. I should add that these photos are not only of Hungarians but also of Romani (a large community in Gömör) and possibly Slovaks and others. 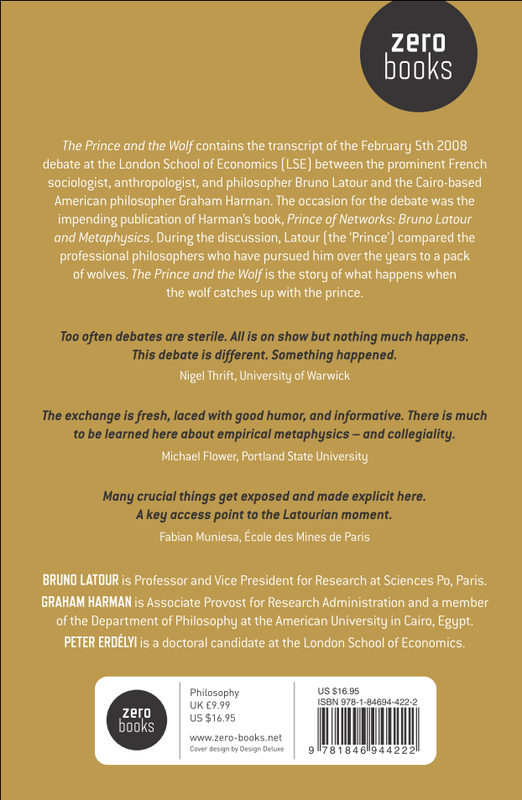 In celebration of the fact that the transcript of The Harman Review event at the LSE, organised by the ANTHEM Group in February 2008, is now available for pre-order in the UK (and shortly in the USA), under the title, The Prince and the Wolf: Latour and Harman at the LSE, let me post the back cover of the book here, especially as that is the one that is usually not visible in online book shops. Søren Riis is one of those few people out there who have also been intrigued with the Heidegger-Latour relationship (see his paper (Riis, S. (2008). “The Symmetry between Bruno Latour and Martin Heidegger: The Technique of Turning a Police Officer into a Speed Bump.” Social Studies of Science 38(2): 285-301.) This time he has come out with a book on Heidegger and technology, though it does sound like there is also a Latourian twist to it. Contrary to Heidegger, Riis advances a number of contentious arguments, which goes to show that biotechnology may indeed hold the “saving power” of modernity, complex modern machines are kinds of artworks, and ancient craftsmanship may be as dangerous as modern technology. Turning Heidegger’s arguments against himself, Riis demonstrates how Heidegger’s thinking in his principal work ”Being and Time” lays the foundation for a radical attack on human existence, which concerns ancient as well as modern technology. In making the different arguments, emphasis is given to Heidegger’s hermeneutic tricks and techniques, which Heidegger utilizes in order to make his own thinking seem more coherent. Google’s Books Ngram Viewer seems like the ultimate tool for tracing academic fads and fashions. It charts how often a word or phrase has been mentioned in books over a time period (in the last 200 years). Here are some Ngrams just for fun, on ANT, Latour, Heidegger, Harman, Deleuze, Whitehead, Sloterdijk and others. More on Ngram Viewer at The Guardian. You are currently browsing the archives for the Martin Heidegger category.